Here are our current promotions. Contact one of our knowledgeable team representatives for more details. Sublimated uniforms are a great choice for any team who wants a customized look at an affordable price. Choose from a huge selection of fabrics, colors, and graphic options. Hurry, free shipping offer expire January 31, 2019. Mention Promo Code: SUBLIMATE. Details: Minimum 12-piece quantities apply. Not valid with other offers. 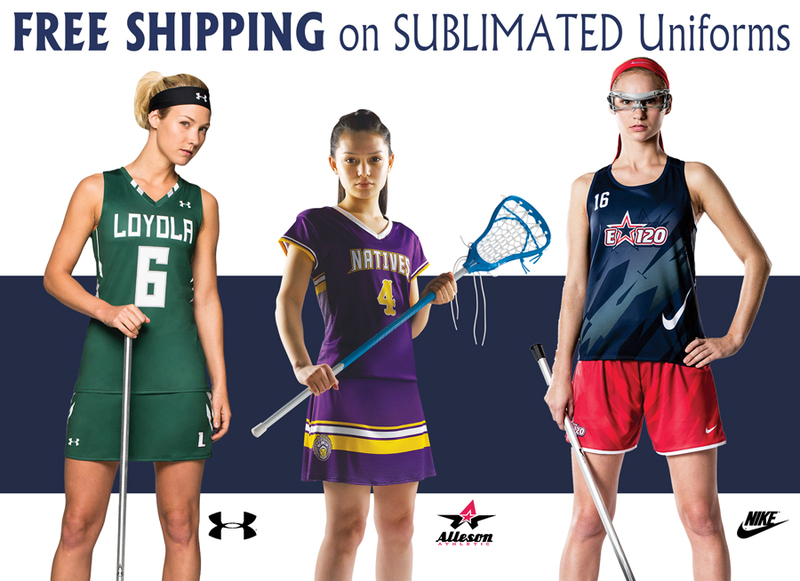 Allow 8 weeks for delivery on sublimated uniforms after art approval. Free shipping is standard ground. Orders must be placed by January 31, 2019 . 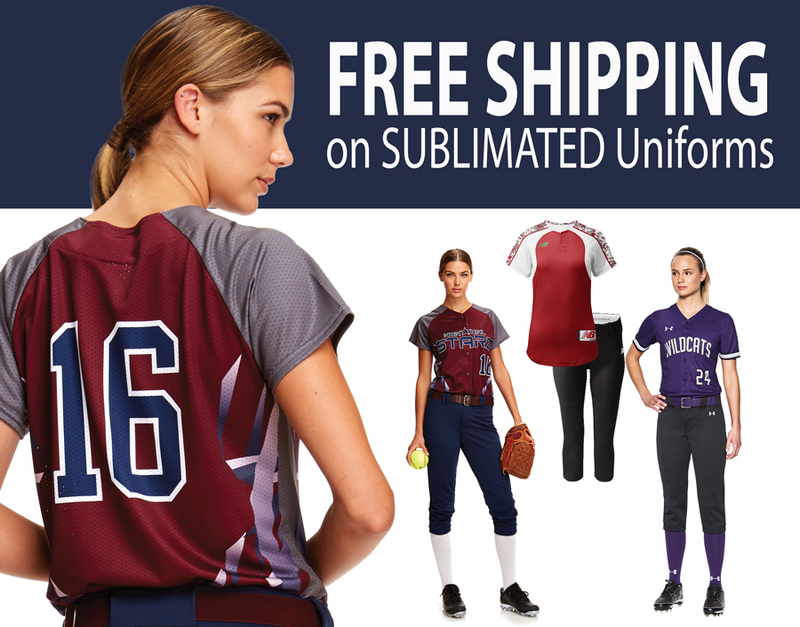 Free Shipping on Sublimated Softball Uniform Orders. 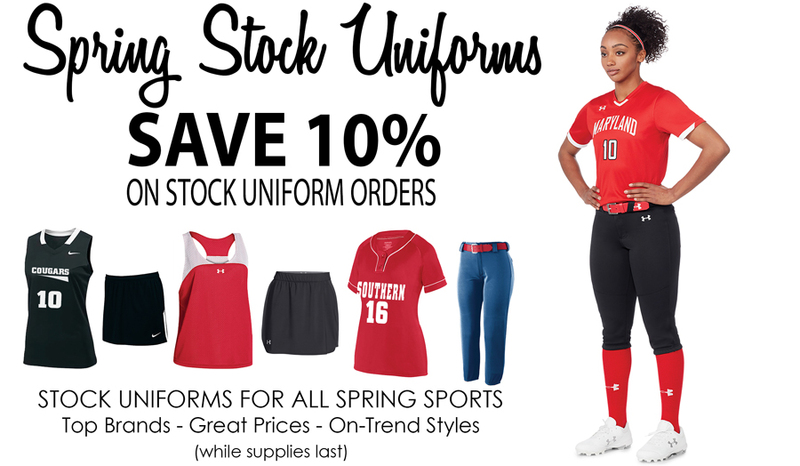 10% Off Spring Stock Uniforms - Order Today! Details: Order must be placed by January 31, 2019. Minimum 12-piece quantities apply. Not valid with other offers. Cannot combine with other offers. Discount applies to stock uniforms only. While supplies last.